The BERG Awards for Real Estate offer an unrivalled showcase of India’s real estate industry, boosting awareness and highlighting top quality developers, architects & interior designers as well as their projects and services. The awards shine a spotlight on the high calibre work within the Indian real estate industry, encompassing construction, architecture and interior design. With a professionally run evaluation system, they also bring India’s real estate industry to the world stage. 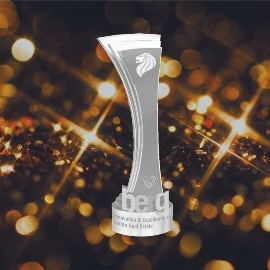 Initiated by the Singapore-based Business Excellence & Research Group in 2014, the Awards aim to reward developments, consultants, architects and designers across the length & breadth of India. 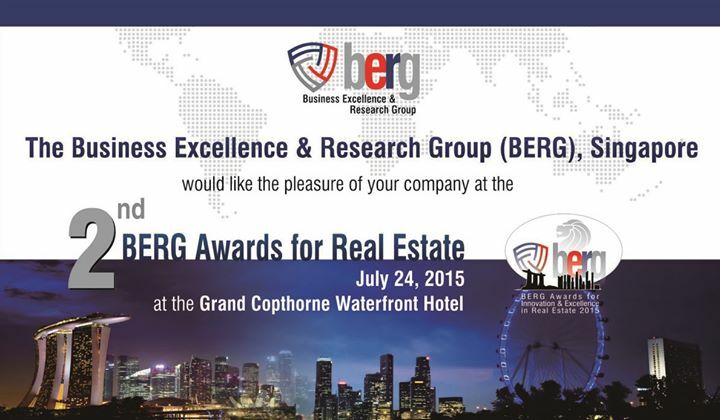 In its second year, BERG Awards for Real Estate will provide a unique platform for not just recognising the great work, but also knowledge sharing and business networking with the prominent members of Indian business community in Singapore as well reputed Singapore institutions in the field of building & construction. Based on a selection process that encompasses integrity, transparency, consistency and fairness, the aim is provide a global recognition and benchmark.